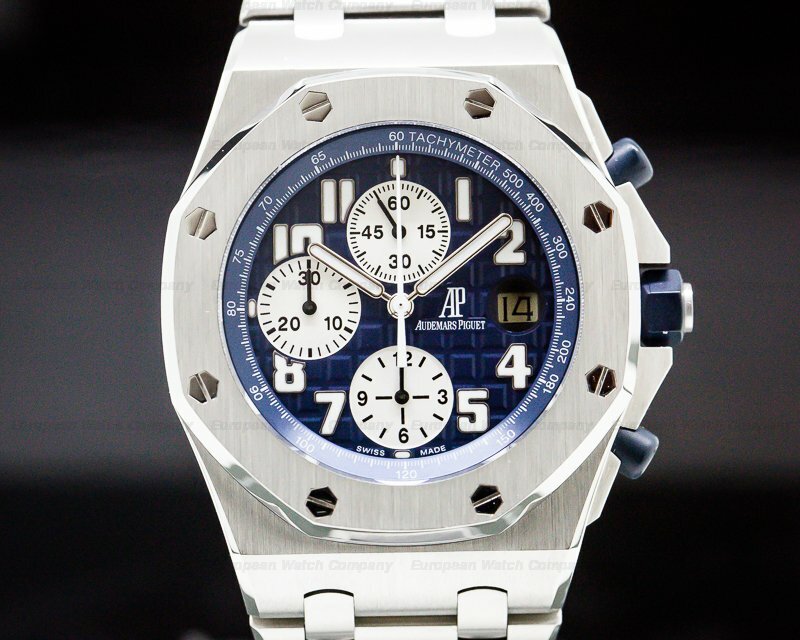 30151 Audemars Piguet 26405CE.OO.A002CA.01 Royal Oak Offshore Chronograph 26405CEOOA002CA01, Ceramic on a rubberr strap with a stainless steel tang buckle, automatic Audemars Piguet caliber 3126/3840, date window at 3 O'clock, chronograph, slate-grey waffle dial with silver toned hands and silver-toned stick hour markers, sapphire crystal, water resistant to 10 atm, black ceramic screw down crown, power reserve of 50 hours, diameter: 44 mm x 54 mm, thickness: 14.1 mm, Like New with box and papers dated November 2015. 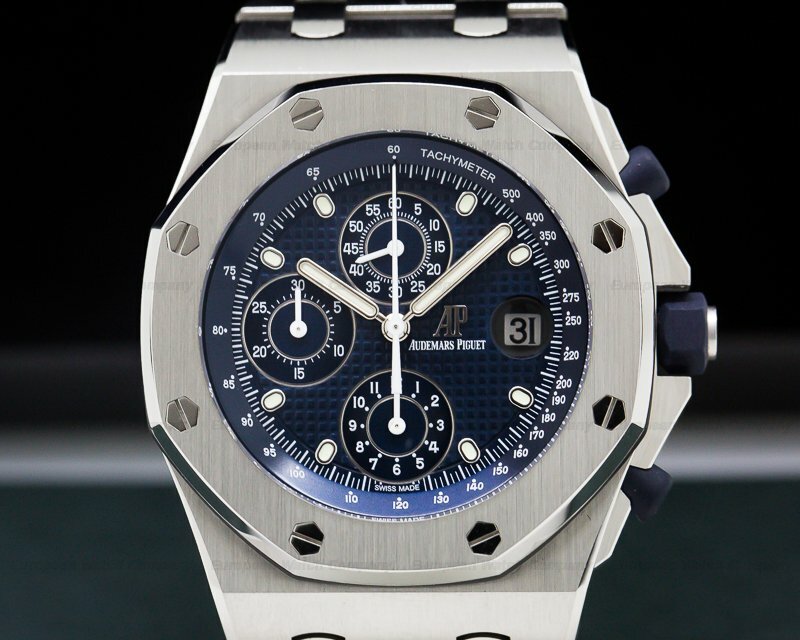 This is a stainless steel Audemars Piguet Royal Oak Offshore Chronograph 26405CE.OO.A002CA.01. 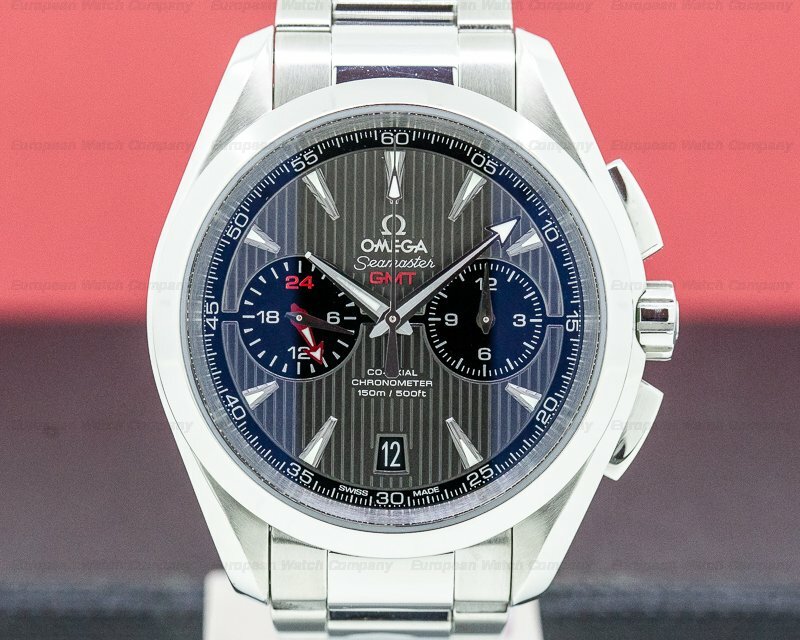 It has a rubber strap with a stainless steel tang buckle, and a scratch resistant glare-proofed sapphire crystal and case back. 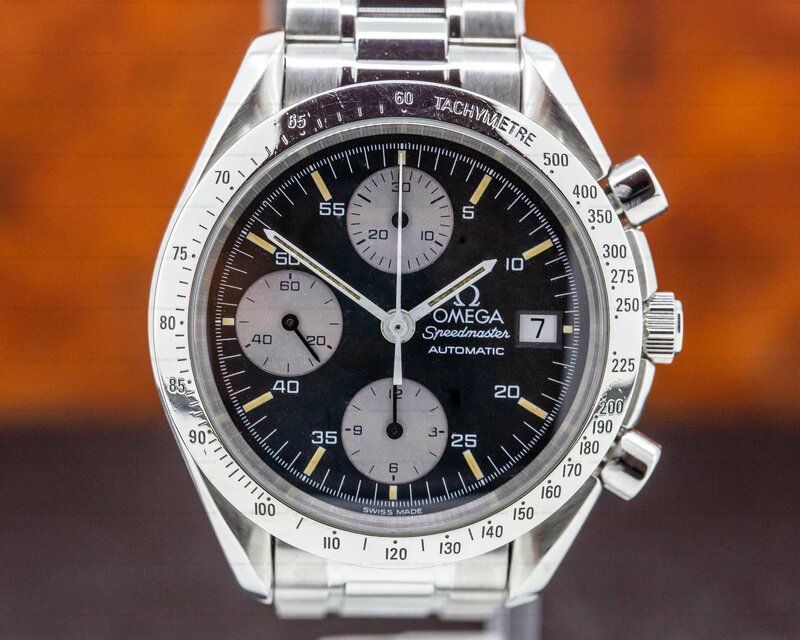 It has a black ceramic screw-locked winding crown and chronograph push buttons. The 44mm by 54mm solid three-body case, integral hooded lugs, bracelet, and flat octagonal bezel with 8 hexagonal "through" screws are polished/brushed. 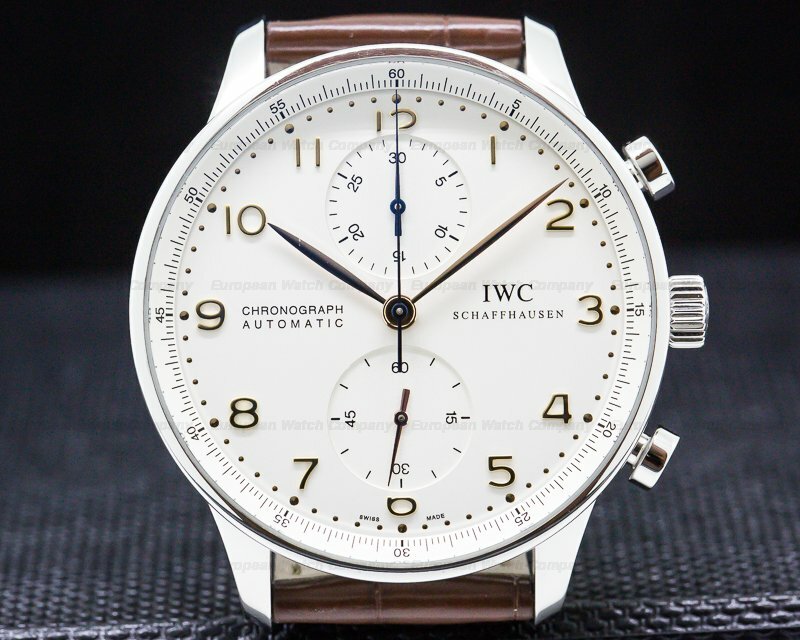 The slate grey dial has a “Méga Tapisserie” waffle pattern, with silver-toned hour stick hour makers around a luminous white minute/one-fifth second scale. 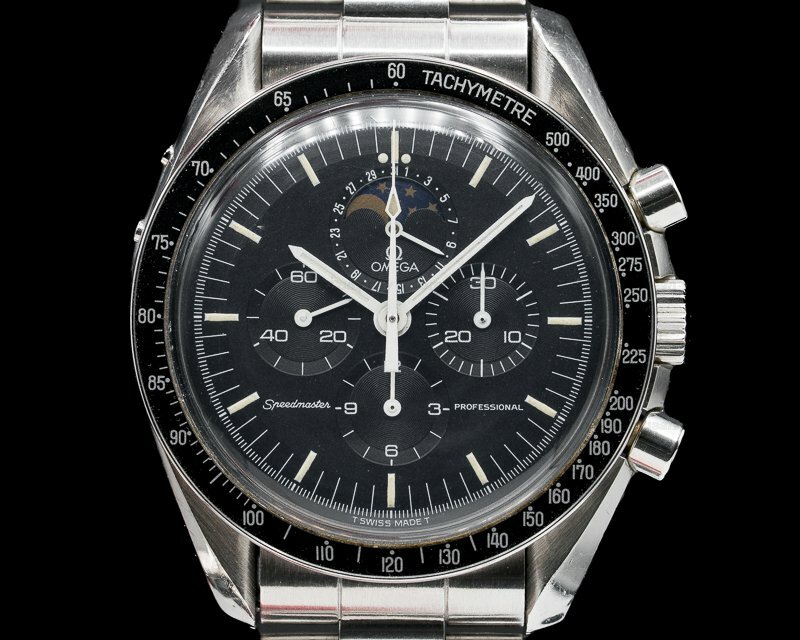 Around the perimeter is a luminous white tachymeter to 500 UPH. 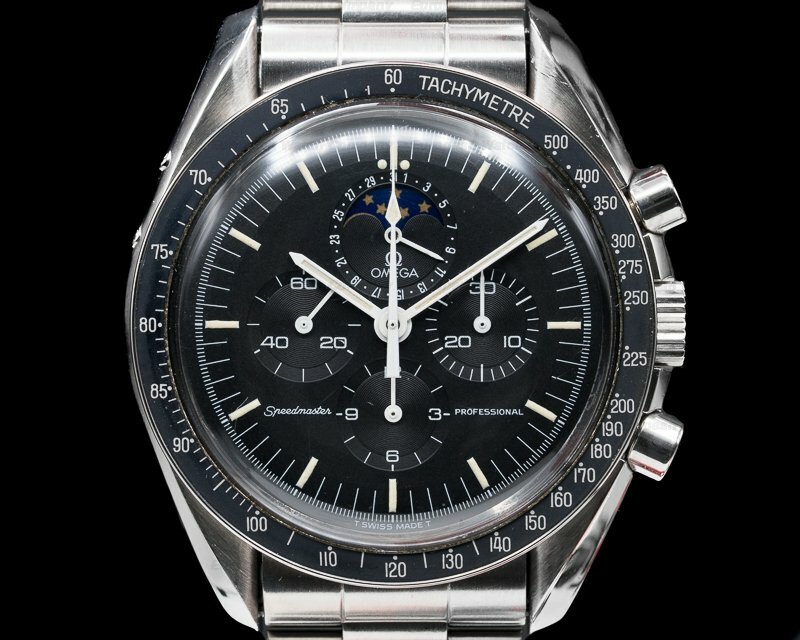 It has steel baton hands, and a center sweep luminous white chronograph hand. 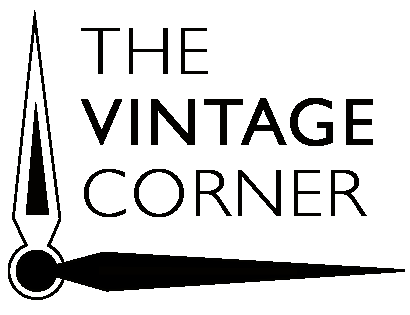 A round date aperture window is at 3 o'clock underneath a Cyclops magnifier lens. 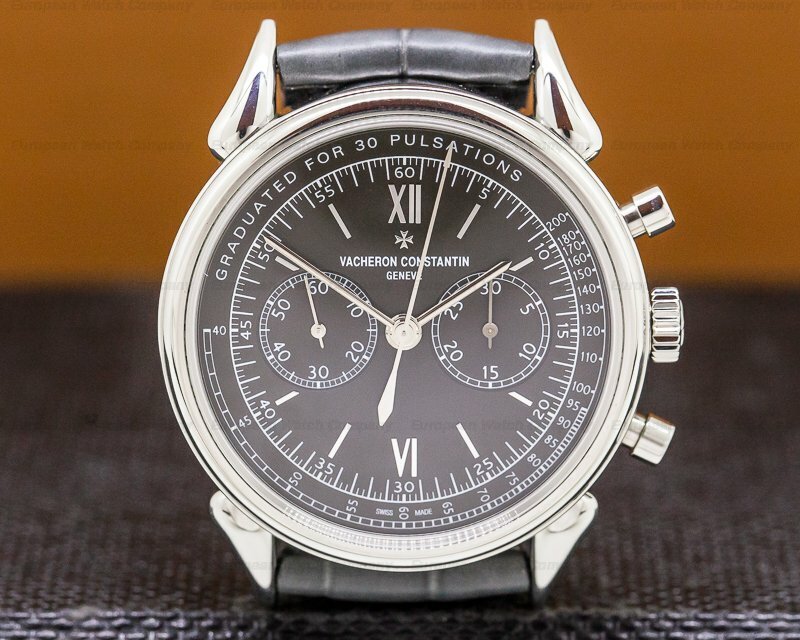 There are three recessed black subsidiary dials with luminous white markers and Arabic numerals, including a running small seconds register at 12 o'clock, a 30-minute totalizer at 9 o'clock, and there is a 12-hour chronograph totalizer at 6 o'clock all with luminous white indicator hands. 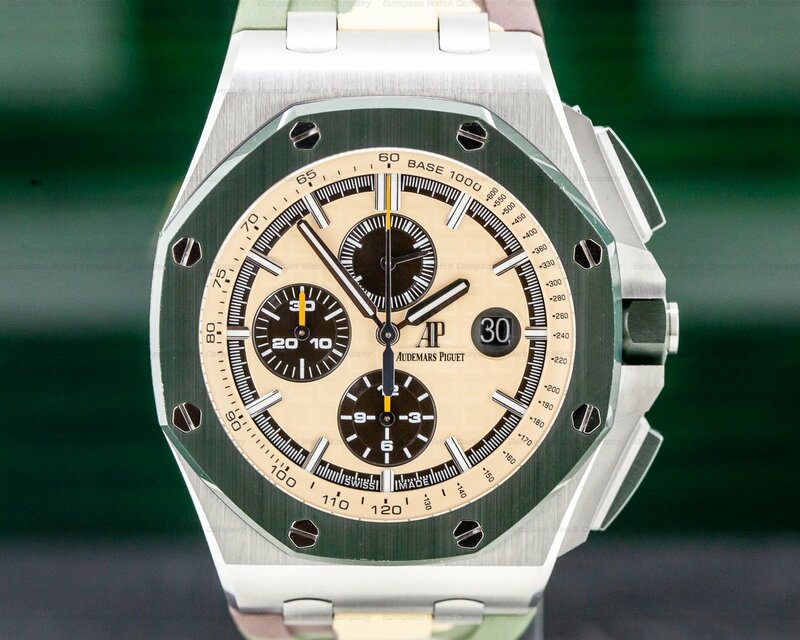 There is a 50-hour power reserve at full wind, and it's water resistant to 100 meters/330 feet. The 14.1mm thick case, dial, and movement are all signed. 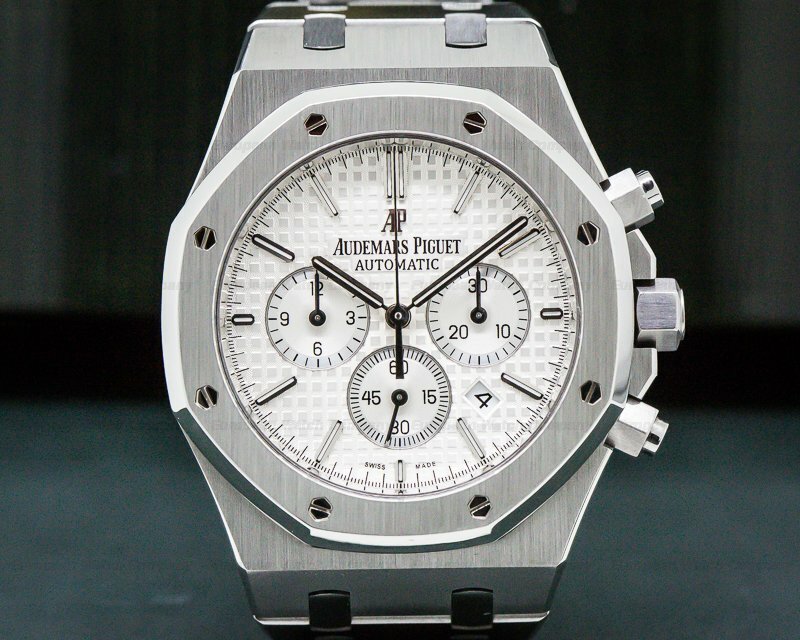 This Audemars Piguet Royal Oak Offshore Chronograph 26405CE.OO.A002CA.01 has a mechanical automatic self-winding Audemars Piguet caliber 3126/3840 chronograph movement. It's rhodium-plated, with fausses cotes embellishment. It's constructed with 54 jewels, 365 components, bi-directional winding, inverted snailing on the bridges with diamond-graved bevels, a shock absorber device, and a straight-line lever escapement. It includes a monometallic balance that's adjusted to heat, cold, isochronism and 5 positions, a self-compensating flat balance spring with variable inertia blocks, a stop balance for precision time setting, and a monobloc 22-carat gold gold rotor oscillating weight with ceramic ball bearings. It has a balance-spring stud-holder with a screwed mobile stud, and the mechanism oscillates at a frequency of 21,600 vph (3Hz).